Rickmers Maritime, once a 10% high dividend yielding shipping trust, have updated that they are not able to pay the interest and the principal on their US$179 mil senior debt due on Mar 2017. I written about shipping trusts in the past, and have invested in them in the past. I felt that they are always being analyzed in a broad stroke that these are bad investments. In the case of Rickmers, it is turning out to be one as this once high yielder stop paying for dividends. In the case of FSL Trust, they are working something out. I am currently not invested, but watching what they do and how 2017 turned out. There are risks, both on the positive and negative side. This could still turned out to be a 10-20% yielder. This piece is about Rickmers. And specifically on their bond holders. 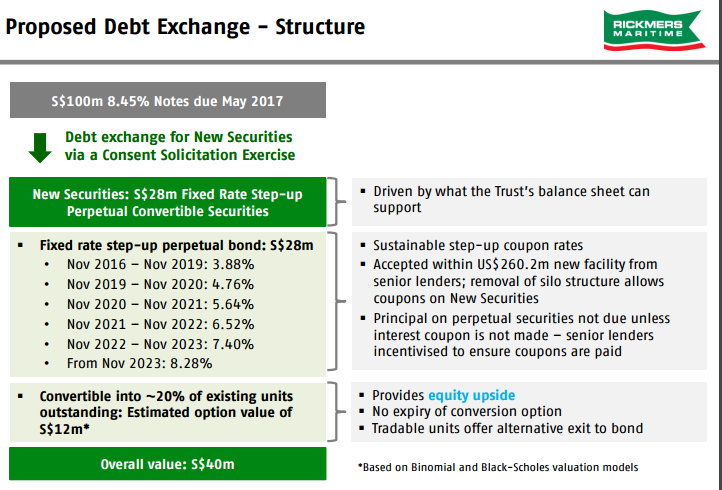 So the management’s proposal is to exchange the existing principal amount of notes and interest with a new unsecured SG$28 mil fixed rate step-up perpetual convertible securities. What a mouthful. Basically the security is hybrid until cannot hybrid. Usually when people source for capital they look for equity, bonds, perpetual bonds, convertible bonds. This one combines everything. The main reason is to do this is that, they do not have much choice. They have exhausted all their options. If they do not do this, they will face liquidation. In a liquidation, the senior lenders get their first dip on what is left, after selling their assets, then the junior lenders, then the preferential shares holders, then the equities holders. The problem here is that the ships are bought at a 2006-2007 high and their book value lulls you into a sense that things are not that bad. The book value is only worth as much as what you can sell today. 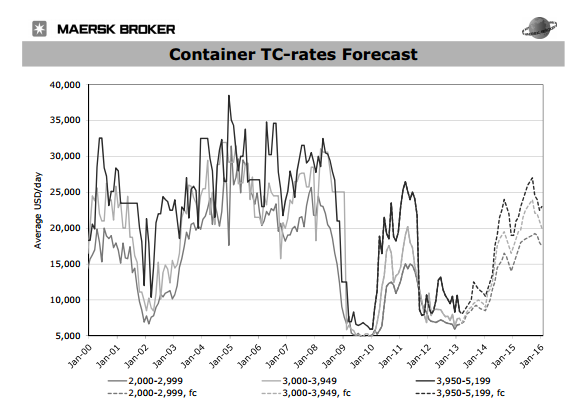 Refer to the top left chart of the resale value of 10 year old container vessels, they are worth 30% of that in 2010. And I suspect 2010 value is much lower than 2006 value. While we are on this slide, I want you to take note of the top right corner chart, which shows you the spot rates from 2013 to 2016. We will revisit this later. 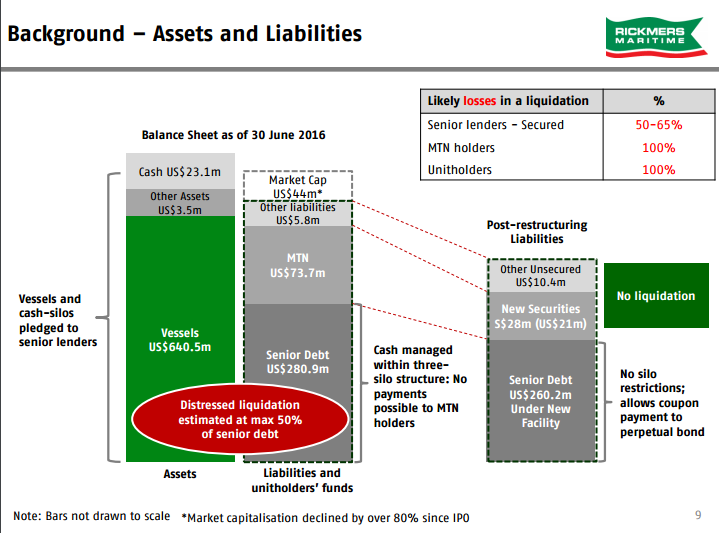 What this slides mean is that they are communicating the assets upon liquidation will only come up to maximum 50% of their bond value. This means the senior bond holders will forecast to lose 50% of the bond value. Hence they propose the restructuring. Because of the way the notes are structured, the payments from revenues will go to the senior debt, and this leaves no cash to pay coupons if you are a bond holder that hold the US$73 mil MTN. Everyone almost loses in liquidation. 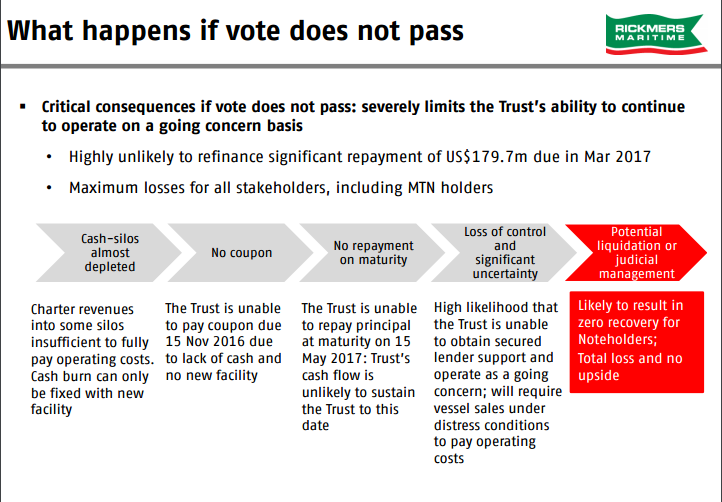 In this slide, it seems the MTN holders will still take a hair cut of their value. I hate the English, perhaps it is due to my poor command of it. I believe it means if the perpetual securities do not pay a coupon, the perpetual securities will be due. In this way the lenders are incentivised to ensure coupons are paid because in that scenario, they will have to liquidate, and they will lose more. 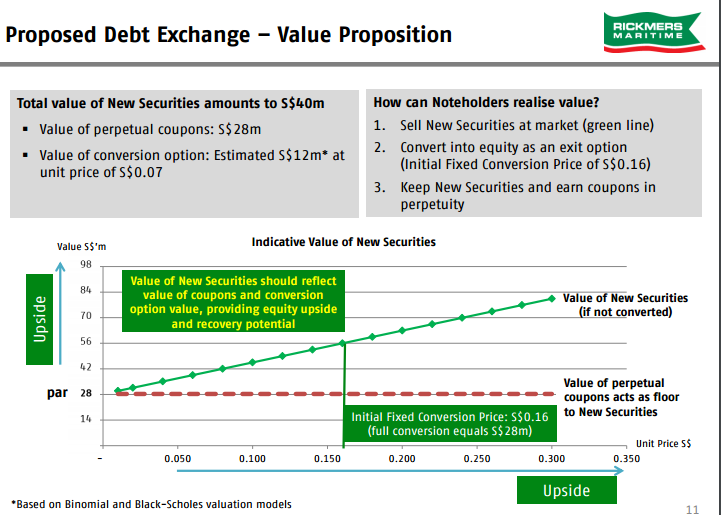 The value of US$40 mil is arrived by embedding the potential of the call option. The initial conversion price is at $0.16. This is much higher than the current share price of $0.056. The potential is there, but convertible bonds run into a bad reputation as many firms in Singapore use it to get very cheap interest debt, and the conversion strike price will never be hit. This price looks high, and I do wonder if it will every be hit. Because it is perpetual, from what I understand this call option does not expire. If you are a bond holder, and manage to see the light of the day where things really turned around, things might look up for you. Basically an explanation that they are screwed. If you are a manager what would you do? I think they should now be praying to some god that things really turned around. For the investors that understands cash flow, EBITDA, Free Cash Flow, they would have raised some red flags, and be wary about it. Even if they are enticed by the high yields, they would be careful. This slide was taken from my write up on my birthday in November last year and it shows you the charter duration of the ships. These slides are not new. You will see this schedule even in earlier days. We have a bunch of ships that is expiring in 2016 that will likely be chartered out at rates much lower, and perhaps below operating costs. 5 of the ships will be expiring in 2018-2019. If you think from the bond holders perspective, we are really have to hold our hands and pray that the shipping cycle turns. If it does not, I wonder if they will have enough cash flow to pay for the restructured loans. This is really kicking the can down the road. Investing this way can be complex to you, and if you want a wealth machine of a certain permutation, you need to put in effort. If not you have to bear the pain or switch to another. 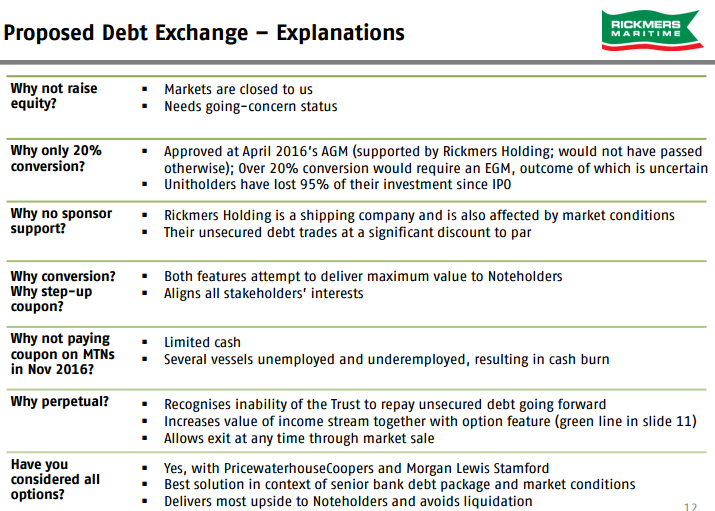 Back in 2013, Rickmers did a rights issue which main aim is to pay off their loan 100%. That was a dilutive and non-acretive rights issue. 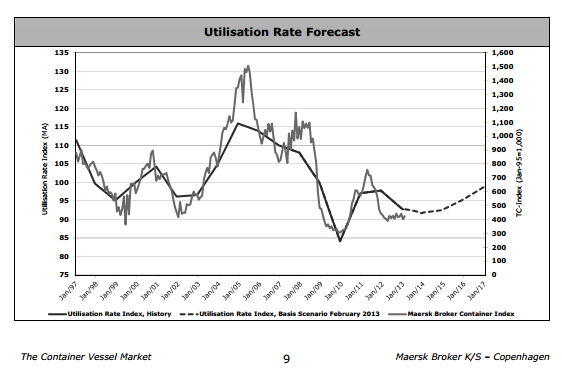 In the circular provided, there is a Mersk Broker report providing some forecast trends. Note what they are forecasting. And reflect upon what happened since 3 years ago. You can refer to the first image of this article which I asked you to remember. As a shareholder, I would be lulled into assuming this forecast will go the way I want since these folks should know more than I do. To be fair, shipping cycles while not predictable, do rhyme. We are in a unique period where the downturn is extremely long. In 2013, they were hopping the rate goes back to US$20,000 in 2016. This is tough, because at this point, the assets are worth not a lot (I wanted to write the words nothing, but couldn’t). The oversupply is still there, and these ships are like commodities. There is no special value of Rickmer’s ships versus that of another owner of ships. If they manage to kick the can down the road, and the shipping cycle does pick up, there could be price inefficiency there that the net asset value of Rickmers is more than the share price. During the good times, nobody really bothers too much about the details of the terms and conditions. When times are good, trust is easily established because everyone’s attention is only on harvesting. During bad times like now, relationships or friendships are forgotten. Many companies are already resorting to legal methods in any attempt to keep oneself afloat. Ethics…..Nah…. It is all about survival! The same can be applied to us as shareholders. Always find that there are much to learn from the case studies of problems just as the case studies of good companies. They will enhance your future stock prospecting skills. And we have much recent lessons. Do capture them, and reflect upon them to gain insights on what happens when the tide goes down. Lastly, I would not lump this with the problems faced by the oil and gas players recently. 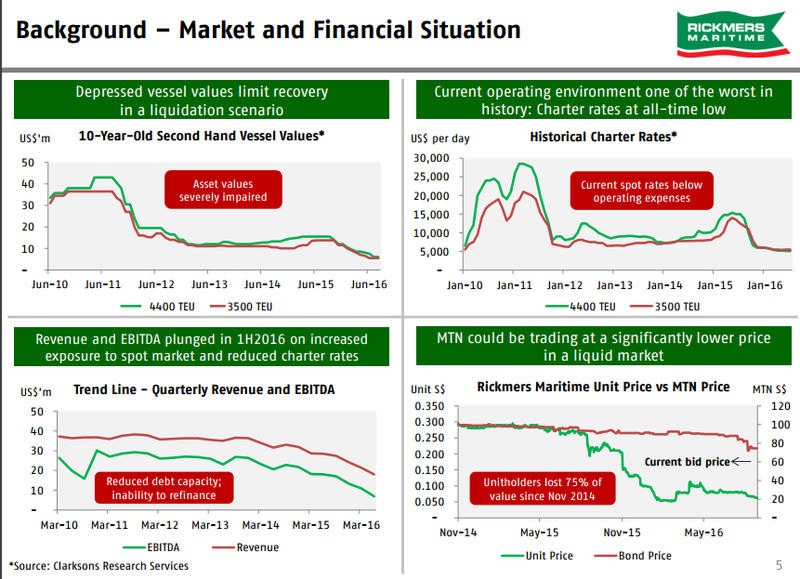 The problem at Rickmers Maritime is more visible, although you can say the same for the oil and gas players. I find the knowledge required to know whether the oil and gas players can continue as a business to be more difficult to acquire and harder to source. However, the learning lesson is the same. Pay attention to case studies, even if you do not invest in them. Singtel buys Temasek’s share of Intouch AIS and Bharti Airtel for 2.4 bil. Cash to Finance SMRT Purchase? The Temasek merry go round has started. Shortly after announcing that LTA will take back the operation of the trains from SMRT, Temasek announced that they will privatize SMRT. Sometimes we always question whether Temasek is in such a great financial position. 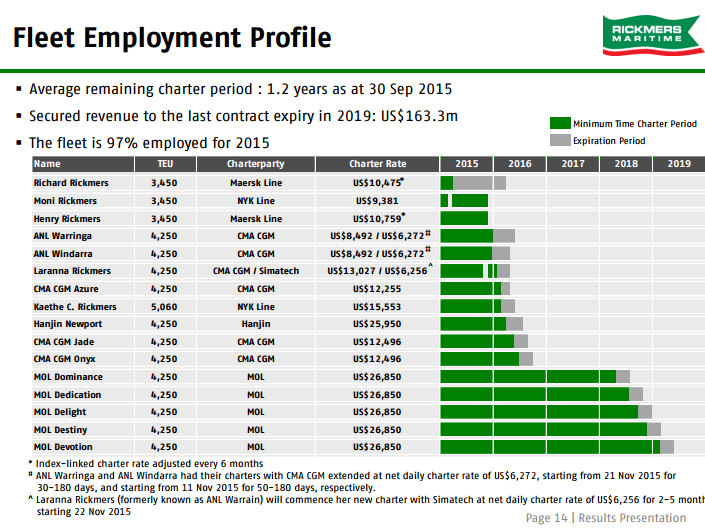 Privatization of SMRT is not a move to enhance shareholders of Temasek because it is a good company. More so, it is a nationalization move to heal a problem by not always being scrutinized. This means it is no accretive to the shareholders of Temasek. This morning Temasek and Singtel (Dividend Yield 4.1%) announced that Singtel have entered a conditional share purchase agreement to purchase 21% of InTouch Holdings, which owns Thailand’s AIS and 7.39% of Bharti Airtel for, SG$2.4 billion dollars. 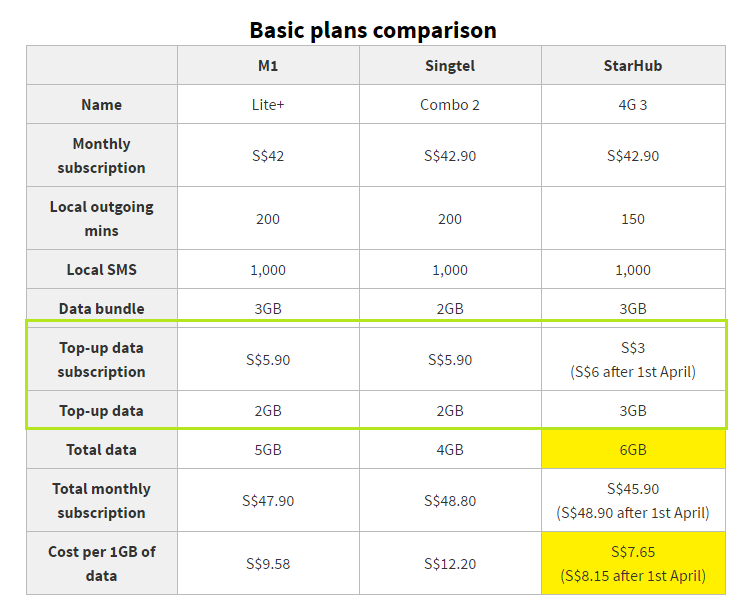 Singtel already have stakes in both telecoms and shareholders should be familiar with them. 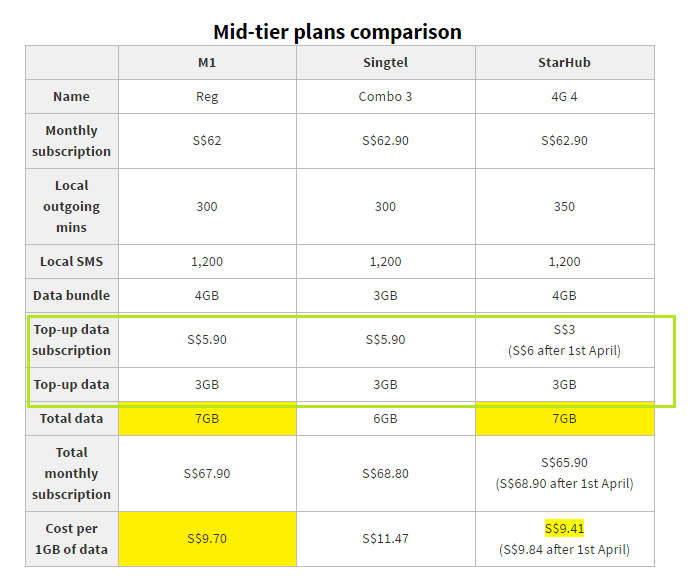 Singtel have a larger stake in Bharti then AIS. It is more significant to now own a larger stake in AIS. AIS, being Thailand’s largest telecom operator have generated good return on assets based on Singtel past purchase price. We won’t be sure what is the EV/EBITDA that this is purchased at. 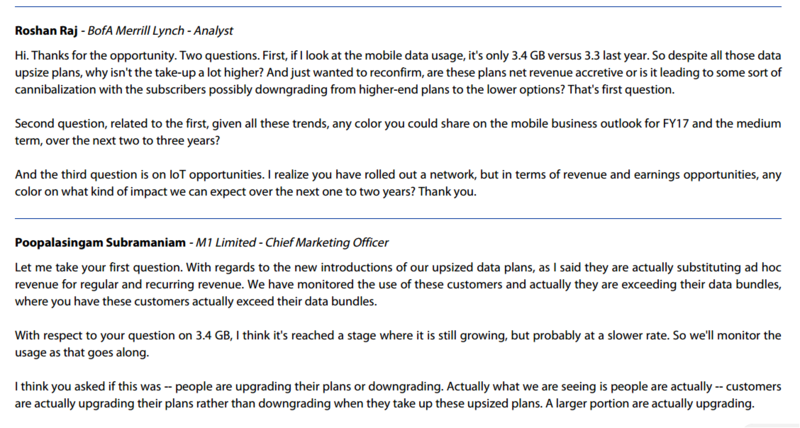 It comes at a time that AIS may be reducing their dividends to focus on some capital expenditure. Bharti has a good story in that, if you look at the country profile that large hedge fund Bridgewater profile as the most competitive on a forward looking basis, India is the country that tops the list. The entire consideration will be funded by cash. Temasek in need of money? Given the timing of this deal, and the ongoing acquisition of SMRT, it begs the question whether Temasek is in need of cash for the purchase. They should be able to afford privatizing SMRT. However, we know that at this juncture, if you are a shareholder of Temasek, you wouldn’t be feeling very smug buying fully an asset that is akin to a broken house that you need to fix and selling a cash flow generating good property because it is ‘fully valued’. So you owned a REIT or a stock. How do you determine in the face of much uncertainty whether to sell or hold on to it, or purchase more? Jessie Livermore the great trader said his biggest gains was made by him sitting on his position, but how do you build the conviction that you have something good and sturdy, and perhaps add on to that position? I thought I will give an example of how I view a recent quarterly reports of a REIT that I owned, to work through its uncertainty to see if I can determine if things are ok, and whether it is good to hold on, add more or just sell it away. Frasers Commercial Trust (dividend yield 7%), an office trust listed in SGX announced their 3rd quarter results. Its share price have moved up a bit, perhaps less than its peers CapitaCommercial Trust (dividend yield 5.7%), Keppel REIT (dividend yield 6%) and Suntec REIT (dividend yield 5.8%). I thought it was a rather good set of results. However, Frasers Commercial Trust does have a cloud of uncertainty that does not guarantee they could keep their current dividend yield. Let’s see if we can make sense of this puzzle. Leasing of office space depends on whether business is good, okay or challenging. When times are challenging, companies downsize, close down or move out of a city. This affects overall demand. The fixed supply of commercial properties will have to fight for a smaller pie of renters. In a global low growth situation, Singapore is not immune. The opposite is also true, when given the same supply, business is booming, prospective tenants are more willing to pay a higher rent. To add to that when you have more supply coming online in a city, this exacerbate the problem. You have even more commercial properties fighting for a smaller pie of renters. A summary of the upcoming new supply will come online in 2016 and 2017. Majority of these new commercials are Grade A offices. If most are Grade A supply that means Frasers Commercial is not affected right? Not so. Those new properties coming online are new and they may be forced to secure tenants at lower rental rates. M+S, developer of Marina One, announced that it has topped out the building and secured leases for 550,000 sf of its office space. This translates to 29% of the total 1.88m sf of office space at the project. These rental rates are not lucrative for these new developments. However, having paying tenants is better than leaving it empty! If you have newer Grade A offices at Grade B lease rates, which would the tenants choose? That is perhaps why the biggest worry are those with older buildings. Thus this is not a good situation for Grade B owners such as Frasers Commercial Trust. This is a good learning lesson perhaps about how defensive good quality commercial buildings are. 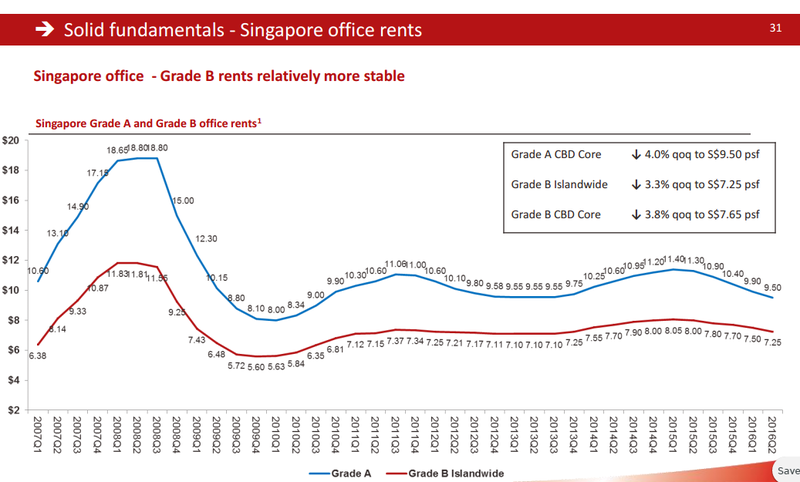 Frasers Commercial Trusts management have touted Grade B rent to be more stable. On a quarter by quarter basis it does seem so. As a REIT investor, the way to read this is that yes rent might be more stable, but if you are paying out 90%-100% of your cash flow for dividends, and we are valuing the REIT with dividends versus historical, then a 10% drop in DPU still will hurt my feelings and psychology! What I find might be more meaningful is that, we know that usual tenant lease is 3 years, unless there are negotiations for a longer lease. 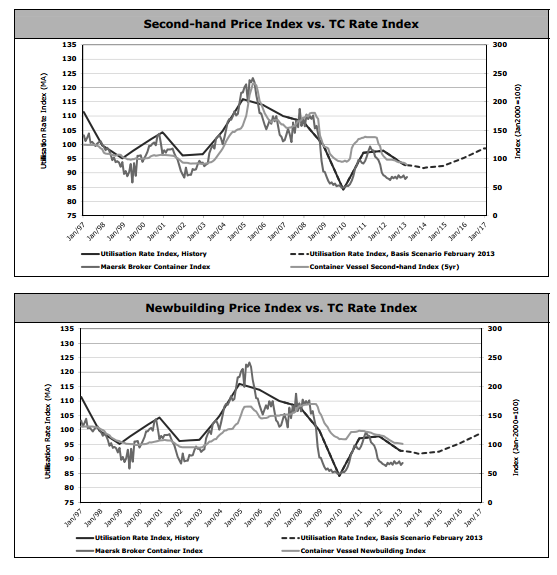 So what is the market rent data change from 3 years ago? We get a chart as the above. we can see some massive rent change if you are renewing in 2011 Q3 where, the last renewals would be at 2008 Q3 where Grade A rent is $18.80 psf. 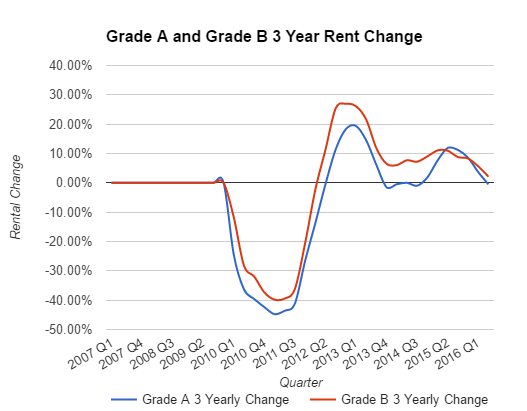 If we focus on this current period, its not entirely correct to say that Grade B rents is stable. They have lower volatility in rent than Grade A but there are many periods where the volatility is very low. If we are doing a worst case scenario analysis on the Grade B properties under Frasers Commercial Trust, which is China Square Central and Market Street, then good figures to use is a -10% and -20% rent revision. This set of revision was not bad in this climate. As long as its above 6% (which is 3 years of 2% inflation) then its good. They are all seem to be renting below market rent. 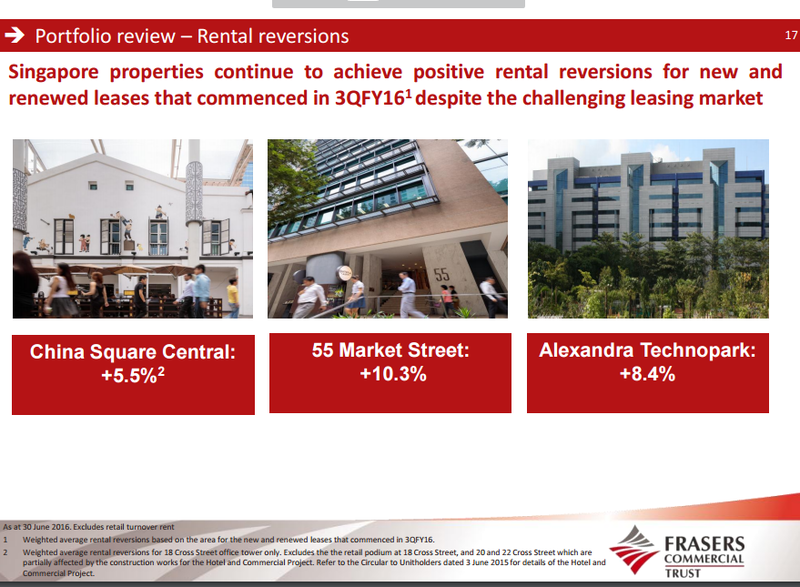 They are not very far from Q2 Grade B rent of $7.25 but piecing this 2 together we should still expect some challenging downward revision, unless Frasers Commercial is still leasing below market rent. Frasers Commercial have 20% of Net Property Income up for renewal in 2017 and 27% in 2018. I believe the 20% is make up exclusively of HP in Alexandra Technopark so majority of China Square Central and Market Street’s renewal will be in 2018. HP Singapore makes up 10.5% of Frasers Commercial’s Gross Rental Income and HP Enterprise makes up 7%. They both have their lease expiring in Nov 2017 and Sep/Nov 2017 respectively. If the tenant requires to give an indication whether they will be renewing in 6 months, this means that Frasers Commercial can only update the status in March and May 2017. HP have engaged Mapletree Industrial Trust (6.6% dividend yield) to build a large facilities in Depot road which will be ready in 2017. There is a high possibility of them vacating the premises. The total estimated footprint is 2,374,120 sqft GFA, bigger than the 824,500 sqft GFA of the built to suit. Thus, some will likely consolidate. Based on press reports, HP Inc have invested in new facilities for its printing business at its Tuas property and thus might not readily move from that facility. When HP sold the 2 Alexandra Road properties to UE on a sale and lease back, they are up for renewal at the same period. 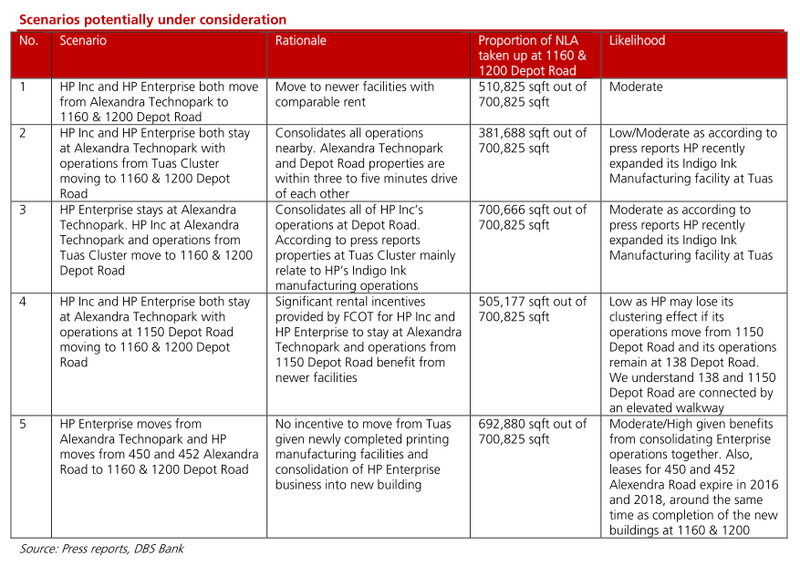 There is also a question whether both HP Enterprise and HP Singapore will move. I sent an email to Frasers Commercial Trust to ask about their plan for this and as with most REITs, you are going to get responses to your queries. What I was updated is that they have no idea about HP’s plans and that they are consistently engaging with their tenants about their plan. 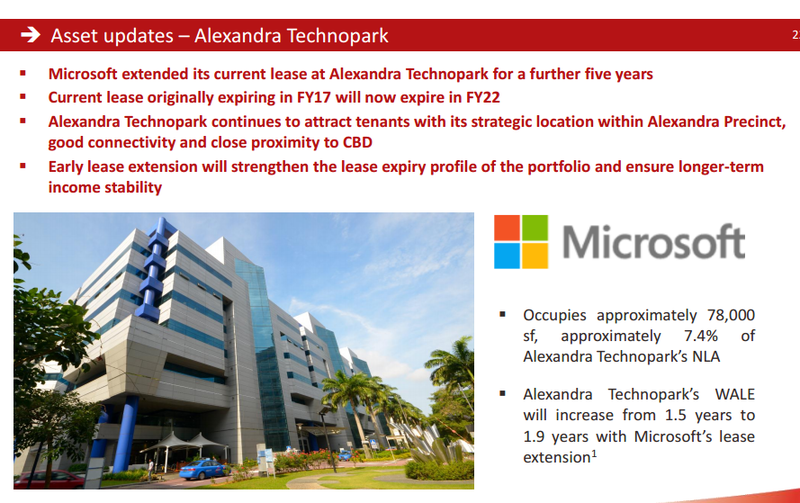 We should not doubt them, judging by Microsoft Operation’s early lease renewal at Alexandra Technopark which was supposed to end only in 2017. They also reveal that this may be their chance to bring in more tenants to diversify the tenant mix so that they do not run this risk next time. Their plans for asset enhancement is independent of HP’s decisions. DBS Vickers ran a special report, cheekily making a play of Brexit on whether HP will stay or go. The first table give a very good idea how to think when it comes to analyzing a scenario such as this. Often we think there is either a stay and go, but this is perhaps a deeper look at the probability of scenarios playing out. From the looks of it Scenario 1, 3 and 5 looks the most plausible. The next table takes a look at the impact to Frasers Commercial’s dividend per share in the next 4 years. Amusingly, they should have put an assumption that we shall leave other potential negative rental revision out of this analysis. The take away from this is how we, as retail investors can sometimes simulate what if scenarios, and look at the impact to DPU, and see if you can live with the DPU. In most scenarios,the projection is 2018 will be a tough year but Frasers Commercial should work itself through. 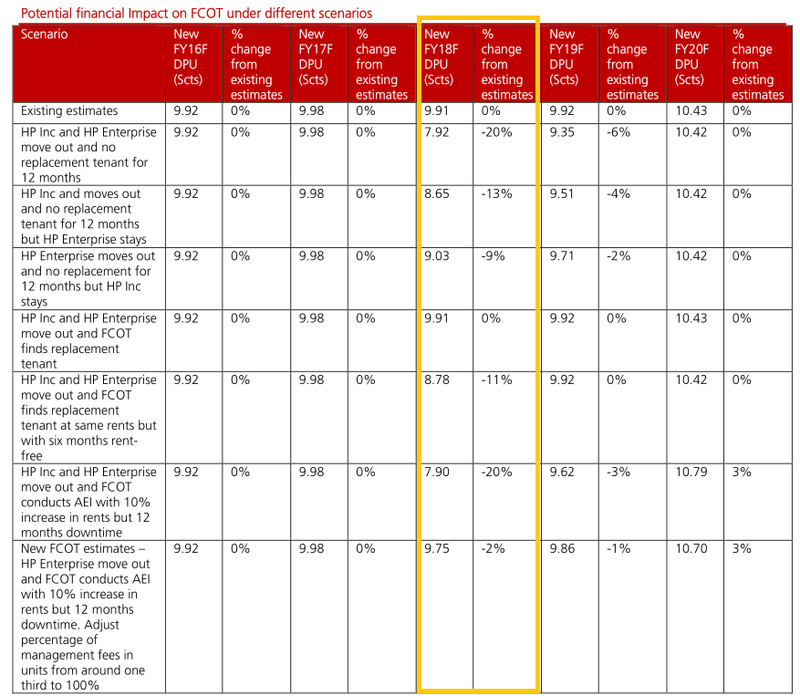 The last table shows the impact to prevailing dividends. They should not need to give too much incentives. Alexandra Technopark is technically not a Business Park but classified as a B1 or Business 1 light industrial, which are usually suitable for Information Technology firms, which is why you see HP and Microsoft being there. Microsoft decided to renew their lease for 5 years. My sensing here is that after looking at the rent of Mapletree Business City the thing working against FCOT is that Alexandra Technopark is not as new. 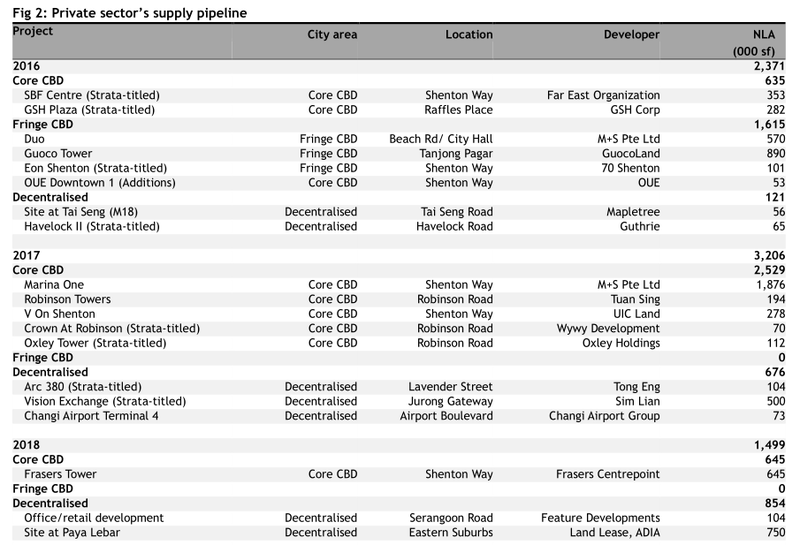 I cannot believe firms will not like a $3-4 psf office near CBD. However, if the new tenant signed at $3, there would be a big negative impact to Alexandra’s passing rent. The third uncertainty will be regarding the fall in occupancy for China Square Central’s latest asset enhancement where they will integrate their office with a developing hotel. This is schedule to be completed in FY2019. Frasers Commercial will be revamping the retail podium to position the Office, Retail space together with the Hotel to improve the vibrant nature. The above paragraph is taken from the Circular for the Asset Enhancement and purchase of the Australian property Collins Street. It looks like they are projecting a lost of SG$3.6 mil a year in income and up to SG$14.4 mil for the 4 years. This sum should be easily serviced by the SG$44 mil earned from leasing the rights to develop and operate the hotel. In this Q3 report we can see the return of capital of US$1.445 mil for the first half of the year may prove the management estimation is correct. The question to the management is whether they are comfortable in maintaining this support for the next 4 years. A more hard to explain return of capital will be that of the subsidiary. We would like to know if the $2.13 mil is a one off. From what I can gather from the investor relations, this can be attributed from Collins Street and MAY be recurrent in nature. We are just not sure how recurrent. In the circular, it was mentioned that the $44 mil proceeds will be use for working capital purposes, to pay down debt and do asset enhancements. My question is whether they will be use for income support. From what I can gather from the IR, things are vague that they do not want to say this capital return will go on indefinitely. However, when you put the wordings together it does indicate a strong possibility that using the capital gains to support the falling occupancy is on the cards. 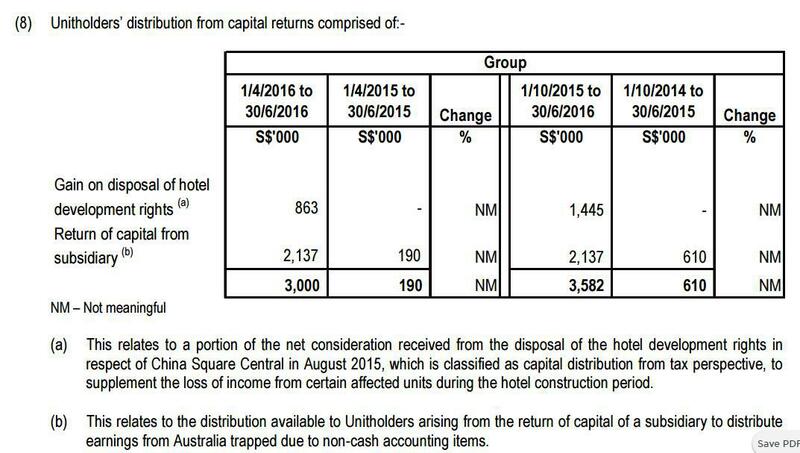 In any case, with $58 mil in cash holdings in the bank and if the fall in occupancy is just as controlled, Frasers Commercial should have the cash flow to pay for this dividends. 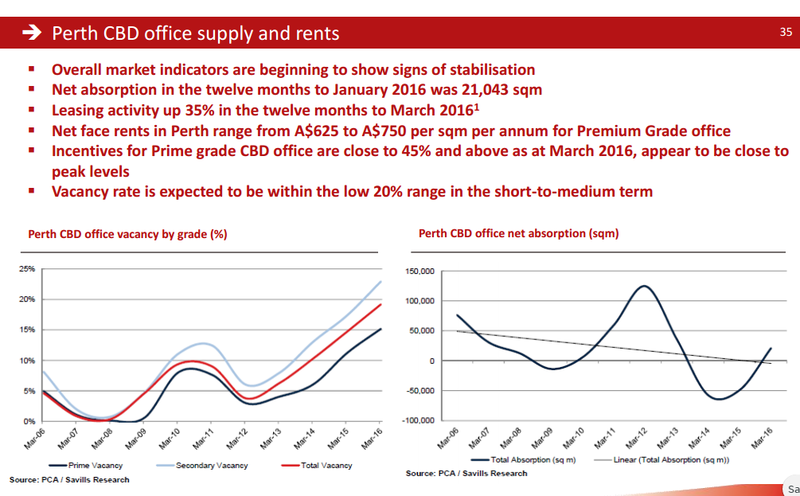 The last uncertainty relates to Central Park, a prime CBD office building in Perth. In Perth the Vacancy rate is high and in the CBD the vacancy rate is 20%. The market rent have fallen by 40% in press reports. An entity of Rio Tinto have signed a heads of agreement for a new lease of 12 years frp, FY2018 to FY2030 at Central Park. This constitute 6.1% of expiring leases in 2018. The rent is not known yet, and I believe will have to track market rent then. Given that the market rent is published, we may be able to figure out roughly how much the lease renewal can drop by. There are some wild swings in net absorption, a measure of how much CBD properties are occupied at the end of the period versus at the start of the period, taking into consideration existing and new constructs. Prime Vacancy, where Central Park should fall under have better vacancy rate compare to total vacancy, yet Frasers Commercial have guided that vacancy will be in the low 20%. 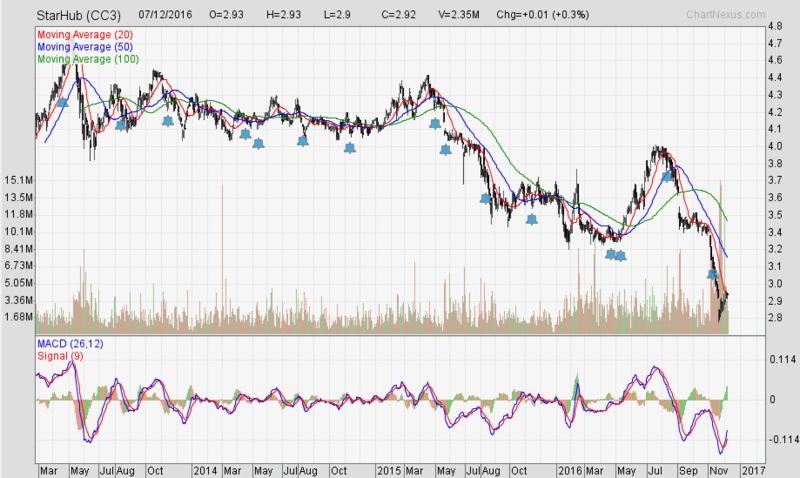 In the midst of these uncertainty, why did I look into Frasers Commercial Trust? Given the numerous uncertainties, many would have give Frasers Commercial Trust a miss. 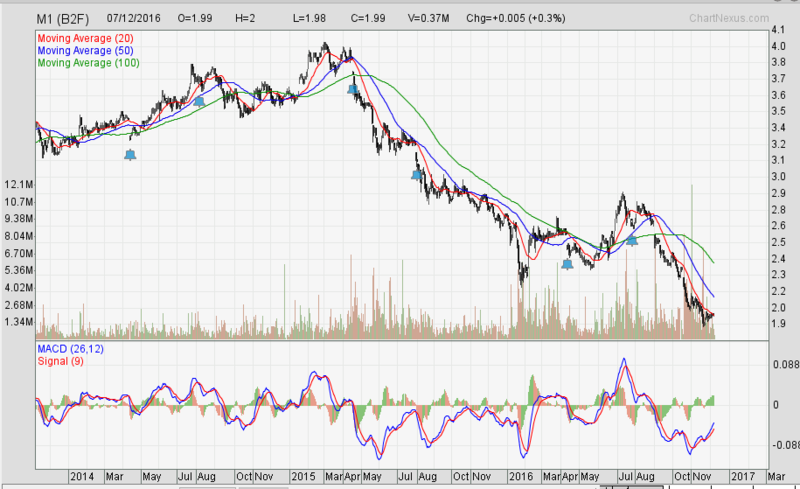 I missed the boat to purchase it at SG$1.16, where based on the yield could be 8.5%. So this exercise is for me to do the deep work, do the modelling and if the value presents itself, I could be faster. You cannot escape uncertainty, which is risk. If there is certainty, it is likely the share price would have factored in that when most of the people think it is OK.
Value presents itself to those that are willing to do the deep work. DBS Vickers did a good job trying to model how the dividends per share will change. However, I do identified more uncertainties and thus I felt that if I were to invest in Frasers Commercial, I would be subjected to the likelihood Market Street, China Square and Central Park faced some negative rental revision. In the midst of thinking about this, I came up with a way of calculating based on these various effect on Frasers Commercial Trusts Future DPU. Each property or category’s percentage composition based on net property income. This let us know the weight-age of each property or category to the REIT’s bottomline. Each property or category’s percentage of expiry for the period (typically year). This let us know which property or category run a risk (both positive/good and negative/bad risk) exposure for the period. Each property or category’s lease revision. An estimation of the likely rent revision from previous passing rent. We listed the composition for the next three years. If there is no new acquisition, Alexandra Technopark is the trust’s most important asset. The rest are well spread out. In the upcoming 2 years where economy is very challenging and greater competition for a shrinking demand. the Singapore properties have a greater problem. Then again, Central Park will also face a big problem keeping current rental rates. Most Australia properties owned by Frasers Commercial comes with step up rent, with Alexandra Technopark’s HP and Microsoft also likewise. I moderate down the step up rent for Alexandra Technopark due to the potential expiry of key tenant HP. Based on the information we were able to gather, we could factor in 2 lean years ahead. For the Singapore properties China Square Central and Market Street, we factored a negative 10% NPI revision for the next 2 years. For Alexandra Technopark, should HP vacate, I hold the view that they should be able to re-lease the premises, but perhaps some incentives or lower rent given. So a -5% NPI revision. For Central Park in Perth, I take it that rents will need to revise down 40% and 30% respectively. The end result is that we get a table that shows the individual growth of each property in Frasers Commercial Trust. After that the effect of the growth on the dividend per unit and based on the prevailing share price of SG$1.34 the corresponding dividend yield. Based on this simulation it is plausible in a challenging scenario, in 3 years, Frasers Commercial still ends up with a higher dividend yield. In terms of reward, for this level of uncertainty, I certainly hope I could have picked up Frasers Commercial at below $1.20. At $1.24, it may result in a yield of 7.9%. My assumption is that there are no macro-economic shifts that affects the economic outlook of Singapore and Australia. A part of the assumption is that there aren’t macro shocks to Australia dollars, since 44% of the income of Frasers Commercial comes from Australia. If there is a secular shift in these 2 above mentioned assumptions, I would move to the sidelines, despite the above analysis. You always want to know what you do not know so well, and what is not within your control. When such events occur, you can risk manage by moving to the sidelines, while assessing the situation better. If you do not know many things too well, including the environment your REIT operates in, then you shouldn’t be purchasing a REIT in the first place! I hope readers can have a better understanding of how a rough evaluation of a REIT you owned can be carried out, when the REIT release their quarterly or annual results. You have to know what are the factors that makes the most impact, and not make a mole hill out of every depressing thing. If you do, you may sell for the wrong reasons. Then go through each positive and negative risk to see the impact in the future. If you are investing in a manager helping you to allocate resources, it is important to assess whether they are doing a good job, by putting into context the situation and their decisions and actions taken, whether they are doing the right thing. Lastly, you are an investor selecting a cash flow wealth machine, or using it as a speculation tool, be clear on this. If you are selecting a cash flow wealth machine, then you should focus on the sustainability of the stream of future cash flow generated by the REIT, and purchasing it at reasonable prices. Making your decisions on hearsay, guru’s recommendation, historical figures without paying attention to value, forward looking scenarios, is a recipe for disaster.